Responsible for creating the interiors of Melbourne’s most critically and commercially successful eateries of the last few years, are Projects of Imagination rolling out a golden formula, or is it that these designers are defining a unique experience for dining in Melbourne? It’s rare for three words to prove so telling. At the end of a darkened hallway, three words hang on the wall of a Prahran studio: Projects of Imagination. It’s a phrase that speaks volumes about the POI (as co-directors Dion Hall and Nick Cox call it) project and philosophy. The multi-disciplinary design studio behind some of the most popular and critically successful restaurants to open in Melbourne in the last few years – Chin Chin, Golden Fields, Trunk, Mr Tulk, Moon Under Water and Builders Arms Hotel included – POI have not only become the creative foil for the hospitality scene’s elite, but created some of our city’s most memorable spaces to dine. With a list of preeminent hospitality projects under their belts, it appears these guys have a golden formula for success. So what exactly is it that POI brings to the table that has garnered contracts with some of Melbourne’s most high-profile clients? Well, POI lets the success of the projects they touch do the talking for them. Shying away from media attention and shunning design industry norms, it is perhaps the fact that the studio still harbours a sense of mystique, despite its success, that makes POI so unique. Hall and Cox don’t strive to necessarily lead as designers (in the traditional sense of the word). As a studio, they don’t engage in industry awards and competition, and have a very conscious approach to piecing together their very non-public persona. “I think it’s good to hold back a little bit,” says Hall. “I don’t really like talking about design, or what colour white we’ve used on the wall.” Quite simply, POI undertakes a process that doesn’t stem from design for design’s sake. 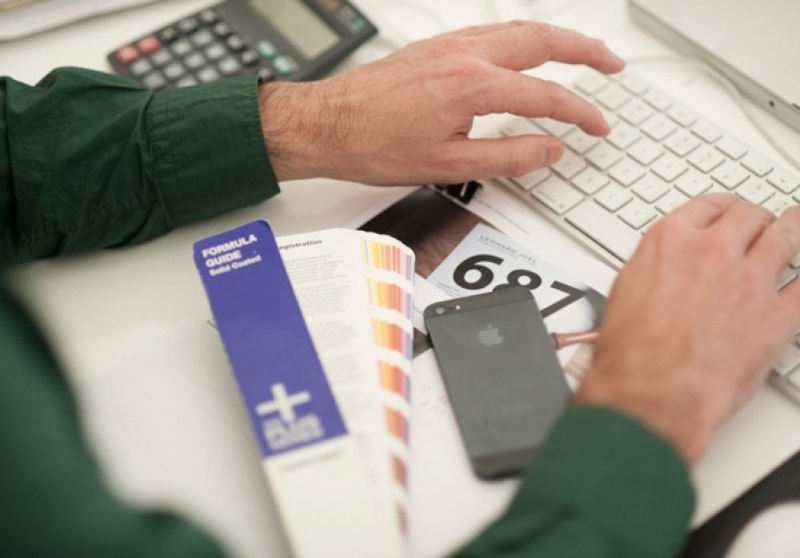 Each project has a strong grounding, against which every element (whether it be menu design, table placement or service speed) is scrutinised. It is an approach that champions the shaping of business models, logistics and financial success, where design slots in as more of an aesthetic necessity, rather than as a conceptual driving force. With a growing team working across interiors and graphic design elements, Hall is focussed on the interiors side of the business and has experience in exhibition and spatial design, while Cox’s involvement is concentrated more on graphic design, with a strong appreciation and understanding of art and architecture. It’s a partnership that lends itself to a holistic design approach. After countless collaborations, the pair decided to go it alone in 2007. “We started out in a shed, in the back of another shed,” reminisces Cox. 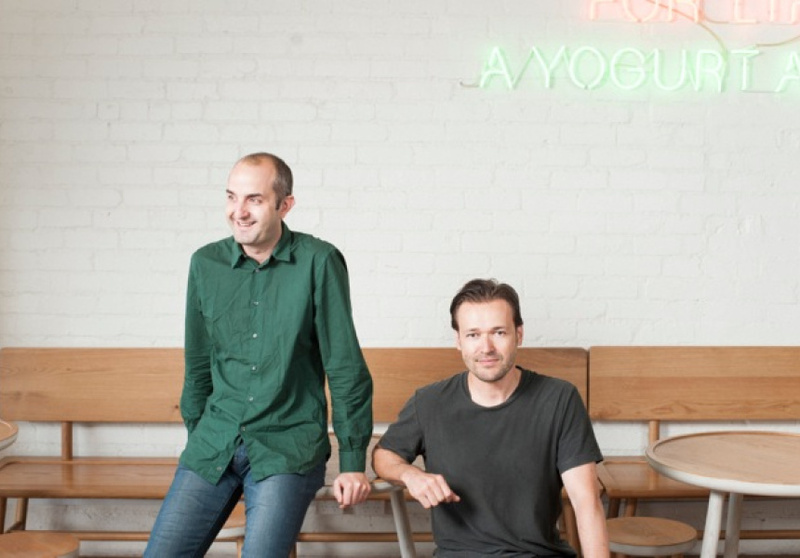 It was the recognition by Hall and Cox of a fruitful synergy between food and design that then saw POI secure contracts with some of the major players in Melbourne’s food scene – Chris Lucas, Andrew McConnell and Frank Van Haandel. 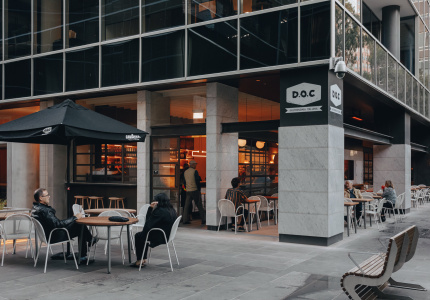 It is in these eateries that design fits into the picture, creating highly considered spaces to meet the demands of an increasingly design-aware public. “Design provides an environment that welcomes a broader demographic and that has that cultural appeal. A place where people can say: ‘Yes, I feel comfortable here’,” explains Hall. 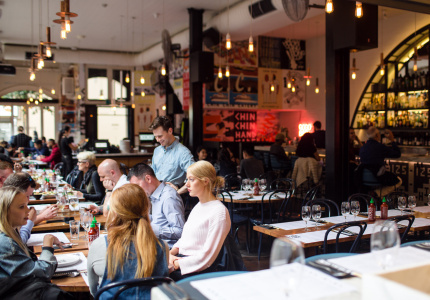 “Not every restaurant that we work on is for everyone, but you definitely don’t want to alienate the broader community.” A smart move in a climate where diners span all age groups and walks of life, where as a community, we’re eating out more than we ever did, and where a dynamic spread of the city’s demographic (from uni students to older wealthy couples) can be found dining side-by-side a restaurant like Chin Chin. POI pride themselves on not being niche designers and claim not to have an in-house style or aesthetic voice, but frequent diners at spaces in POI’s portfolio (Baby, Mr Tulk, Trunk, Half Moon in Brighton and most recently Moon Under Water at the Builders Arms Hotel) will have picked up on a reiterated palette of materials. 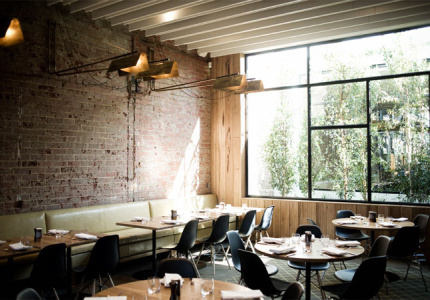 From soft whites tiles and slender black steel elements holding up large glass windows (Builders Arms, Golden Fields, Chin Chin), to blonde rounded edged timbers, neon signage (Chin Chin, Baby, Builders Arms, Yo-Chi) and of course those Thonet bentwood chairs. 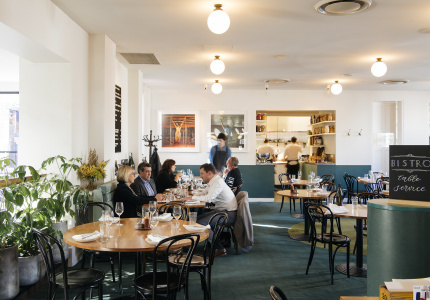 And though this pared-back style isn’t necessarily exclusive to POI’s palette – the bentwoods are seating diners the city over and have done so for years ¬– it’s a style that has permeated Melbourne’s evolving restaurant landscape. While one could say POI might be rolling out some similar design elements from their toolbox, it could be just as convincingly argued that their design nuance is just more softly spoken in creating a unique response to the setting. From the moment POI takes on a project, Hall and Cox are adamant about creating a consistent brand experience. In the past, POI has been open to taking on building-only projects or graphic design and branding-only projects, but the studio’s most successful outcomes have arisen from being involved across the board. So much so that these days, almost all of their work involves both sides of the business. “We feel a lot more empowered when we’re utilising all minds in here, rather than just the build side,” says Hall. While projects such as Builders Arms Hotel, Yo-Chi and Chin Chin have seen both elements of interior design and graphics handled by POI, where as projects such a Golden Fields saw POI work on the space with identity and branding designed by long-time Andrew McConnell collaborators, Studio Round. But moving forward, a holistic design approach where both elements of the studio is involved is the preferred method for POI. “We act as a full consultant on every level,” Cox adds. 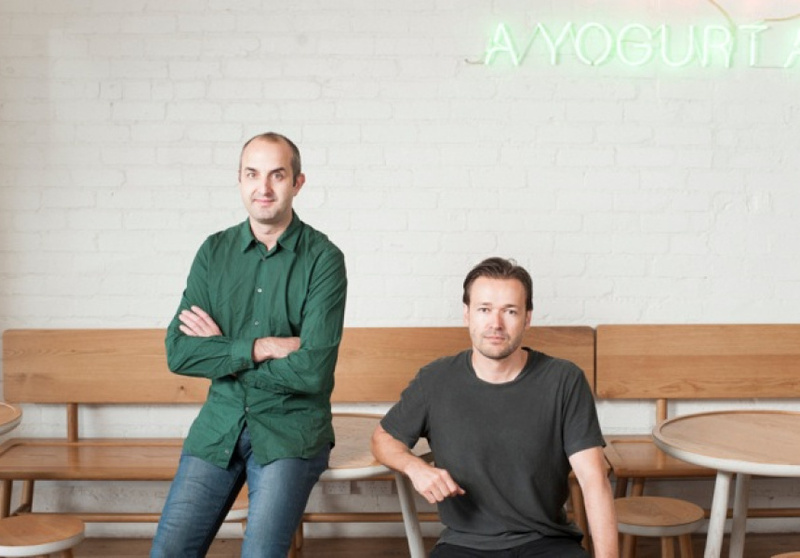 Recently opened self-serve yoghurt store Yo-Chi in Balaclava was one such project, with Hall and Cox raving about the value of mutual trust between designer and client – a welcome dynamic for a first time collaboration between POI and entrepreneur Manny Stul. “Manny is someone who’s willing to listen – he wants to learn and wants to prosper in a very competitive market,” says Hall. Clean, white and neon bright, the Yo-Chi interior is a spick and span canvas for a coherent brand experience. 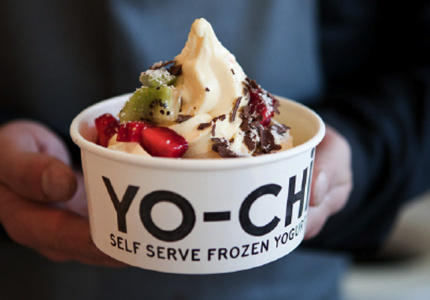 At Yo-Chi, which opened in September 2012, the ballet of self-service is heightened and considered in clinical detail. “From the music you hear, to the spoon you use, to the uniforms of the staff, to the floor material, to the yoghurt cup, its about finding a balance in all the different touch points,” explains Cox. “Golden Fields is fascinating, really, when you think about how part of the process was driven,” says Hall. “We ensured that, upfront, there was a budget allocated to customising what his [McConnell’s] food goes on.” Continuing a tradition of artist collaboration, the team enlisted the help of ceramicist and Hall’s mentor, Shane Kent, to create the plates. “We were not only designing in from the walls, but also out from the table,” says Hall. 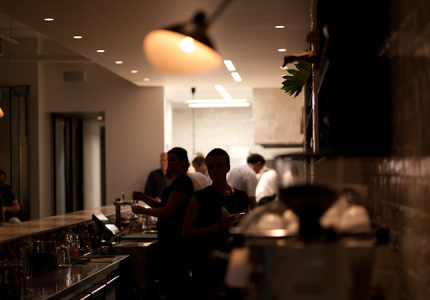 Andrew McConnell’s St Kilda restaurant Golden Fields is a prime example of chef and designer working hand in hand. “I had a pretty solid understanding of what I wanted the ambience to be like, what I wanted to serve and the pace of the room,” explains McConnell. The interior design creates a subtle backdrop for the experience. Clean and white, we see POI’s signature soft and smooth timber touches in the stools and tables. 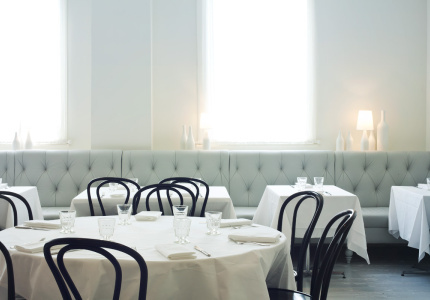 The extensive marble bench runs the length of the space, ardently separating the kitchen from the dining area and highlighting the chefs at work behind it. With subtle quirks such as the chickens’ feet artwork or the craning neck wall lights, the visual embellishments are few and restrained. The aim here was to create a timeless canvas. “Part of my brief was that I want it to look good in 10 years time,” says McConnell. 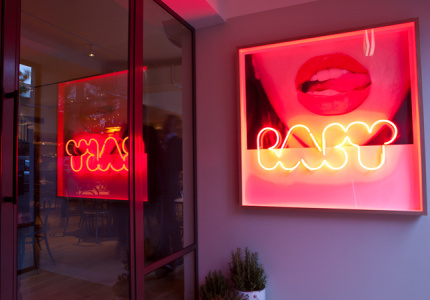 Hall and Cox reiterate the importance of the sensory experience in a dining environment is imperative here. Although many clients approach POI having loved their previous projects, and wanting something similar, “We encourage them to not think that way and make sure that its explained up front that we start each job afresh,” says Hall. “We’re glad you like that job, but we’re not doing another one! We say: ‘We think you can do better’,” explains Hall earnestly, pushing each project to quite literally bring something new to the table. Indeed, POI frames their approach as a kind of design neutrality, in that each outcome is a result of a process responding to a specific set of objectives. It may be that the main constant in POI’s approach is the attempt to create a sensory experience. 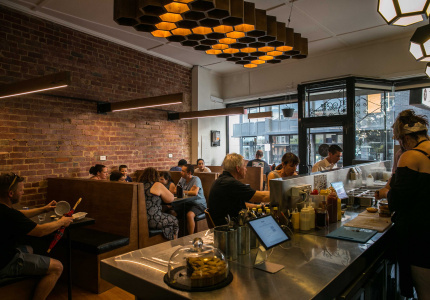 And perhaps the perfect visual setting for such an experience happens to be the internal spaces of some of Melbourne’s favourite eateries. So whilst our mouths, nostrils and ears are getting in on the action in the competitive restaurant scene, there’s something else at work in POI’s projects that’s challenging our aesthetic experience as diners and satisfying our creative hunger. 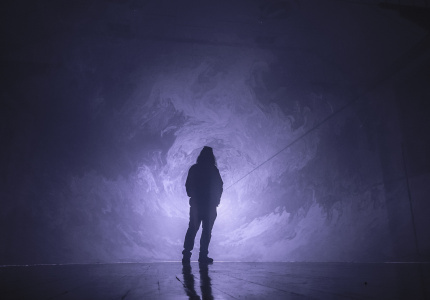 The more esoteric notions of mood and atmosphere are key in understanding the essence of POI’s detailed work, whether it be at Chin Chin or Moon Under Water. 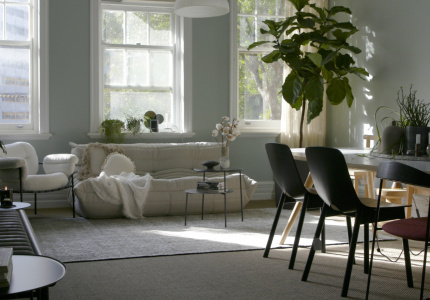 “Great interiors don’t necessarily photograph well, because it’s about the atmosphere,” sums up Robert Buckingham in reference to that intangible quality present much of POI’s work. 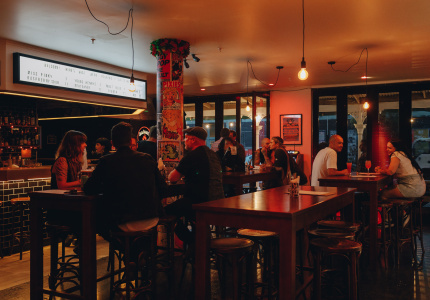 Conversely the hustle and bustle of a place like Chin Chin makes for a more casual, fast-paced encounter, where the diner feels ‘in’ on the action. When questioned about the effects of a comfortable chair on the dining experience, Hall comments that “it’s not always correct in some environments” and that “sometimes you want (the diner) to relax for two hours and then you want to move them out.” On the other hand, “the banquette [at Moon Under Water] is so comfy that people want to stay all night,” says McConnell. “Site played a role,” interjects Hall. “Price point has played a role, the atmosphere, the service model, the logistics on how they create the food – there’s a lot that goes on behind the scenes that the public doesn’t see.” “But it was all deliberate from the outset,” concludes Cox. 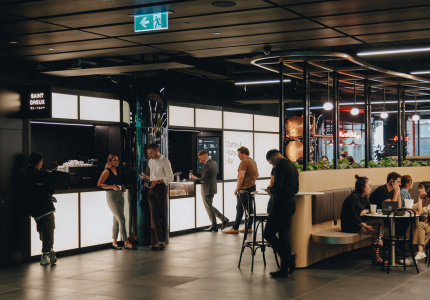 Peeling back the layers of POI’s latest projects, one could deduce that the success of these eateries relies heavily on their shaping of the business model, logistics and brand experience, where design is a backdrop for all these elements to intermingle. 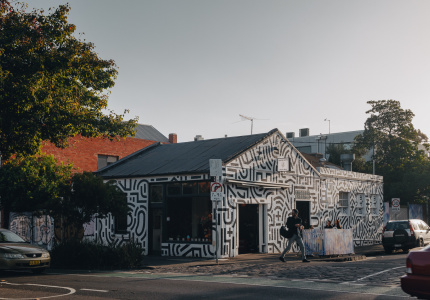 Indeed, while POI bring a toolbox of recognisable techniques, elements and aesthetic intonations to their projects – aspects that resonate across venues from St Kilda and the city, over to Fitzroy – each of their projects has a very different outcome. 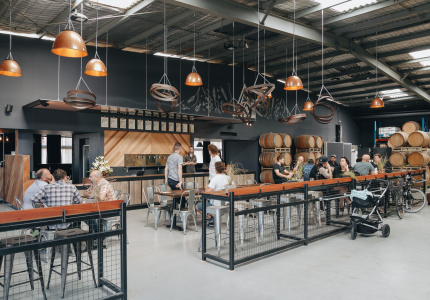 Yes Chin Chin and Golden Fields use wood, steel, glass and white tiles, but they are very different settings with very different atmospheres that lead to very different executions – and experiences. And it’s this dedication to crafting a unique experience in each new room that sets Projects of Imagination apart. "We’re putting the foundations down to ensure a consistent brand experience for the future and across the board,” says Hall.